What’s an ex-Viper to do when all his friends are gone. There was a time when I easily had dozens of G.I. Joe action figures. Many had been lost over the years, but I would say that at its height my collection reached around 50 at its peak. I was heartbroken to realize the other day that many of my oldest and most significent ones are gone… and it was basically my own doing. Up until high school I kept my Joes meticulously organized. They were housed in a two-foot high organizer with small, narrow drawers. Each figure was in one of the drawers, stashed away along with their individual accessories. The drawers were also labeled for each Joe inside. And in there many of them rested for nearly 20 years. That is until I apparently threw them all away. After high school I often moved from place to place. My Joes were pretty much left behind in the office of my parents’ home. They were tucked away in a corner. Children would occasionally come by and play with them. Eventually my niece would, and over time, my own children. Then one day about a year or so ago, I helped my mother clean out a section of her office. Now covered in dust, I found that little cabinet. To be honest, my memory’s a little fuzzy on this. I don’t specifically remember there being any G.I. Joes left inside it at that point. And maybe there weren’t. But I do remember bringing it down to the basement and leaving it there. 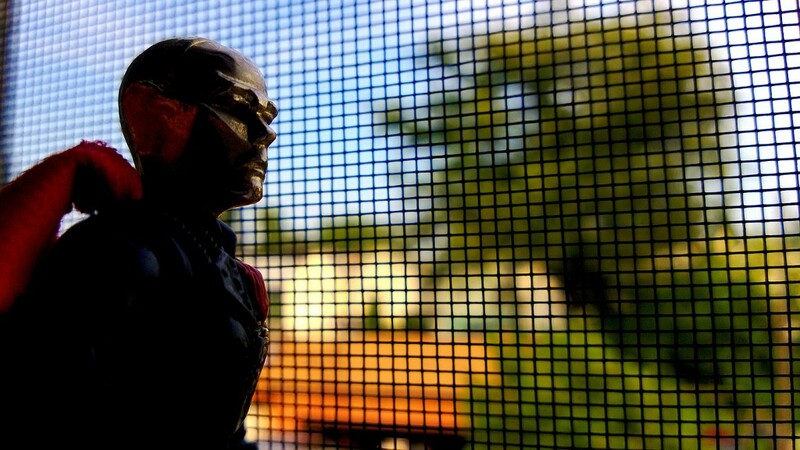 Destro ponders fondly of days gone by and lost comrades. I’d like to think I didn’t actually just dump my Joes in the basement. I’d like to think that it was empty and I was just tossing an old plastic container. But I fear I didn’t. And now its left me feeling sad. At the time I think I was just clearing away the past. Letting go of childhood playthings. And that seems reasonable to me. 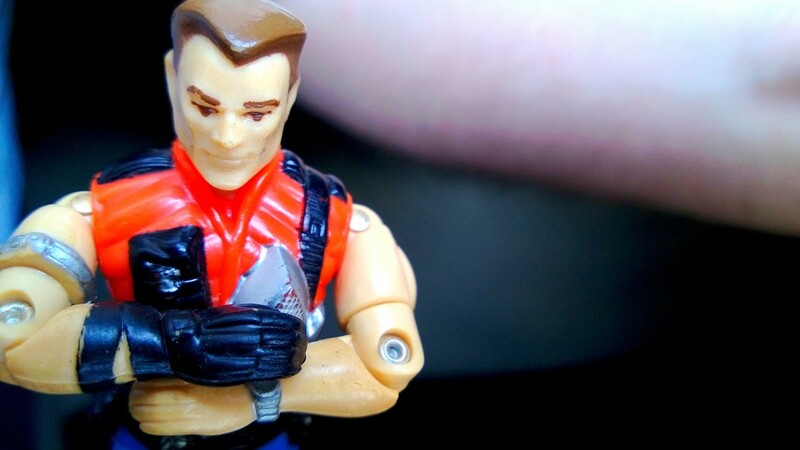 I never collected the Joes with an eye towards their future value or anything of the sort. I collected them because I loved to play with the toys. But this project I’ve undertaken here, as well as looking through my ample supply of 1980s G.I. Joe comics, has reminded me just how much I loved the characters and the stories and the toys. I can remember bringing my Joes with me on family vacations. I even brought them to school. When home I would sit outside in the bushes in front of my apartment building, my G.I. Joes battling Cobra forces in epic adventures. They were vessels for my imagination. I still have quite a few of my Joes, they aren’t all gone. And I have pieces of many more, which makes me feel that perhaps many of the vanished ones were simply broken and discarded over time during various Spring cleanings. That I didn’t really just carelessly dump them in the basement. But the ones among the missing were among the ones I had the longest. Snakes Eyes, Duke, Doc and Scarlett. I rarely regret letting go of things, even if it takes a little hand-wringing for me to do it. I’ve left behind plenty: books, toys, friends, memories. But I feel like I’ve lost something special now. A link to my childhood that I can never really get back. It’s probably silly. And eventually I’ll read this and think I was being a bit melodramatic. But that isn’t stopping me from kicking myself for what I may have done, nor does it help the sinking feeling in my gut its left behind.